As part of our outreach partnership and support with Holy Family Institute's Specialized Learning Program, we are providing food items to send home with students each week. The program is coordinated by the school's guidance counselor and is targeted at providing easy-to-prepare food for children who experience hunger or food insecurity. Food will be collected in the narthex; money and gift cards can be placed in the collection trays (marked for Holy Family students) or given to Deb Sadowski. For more information, contact Deb at scnmom@yahoo.com or 724-719-0144. We will be collecting food and money through May. Our congregation makes a difference in the lives of more than 50 students at the Holy Family Institute Specialized Learning school. Each week, the students take home a bag of food to supplement what's available at home. The school's principal, Ron Zangaro, has shared the gratitude of the students and the enthusiasm of the staff for this program. This food is provided by generous donations from members of the church. Last Saturday, November 4, the program was expanded from collections at Sam's Club at Mt. Nebo Pointe. Kate Colville, Alice Nadin, and Deb Sadowski talked with shoppers about the program, asking for monetary or food donations. A total of more than $325 and dozens of food items that overflowed four carts (and filled an SUV!) were collected. We will continue providing food to students each week through late May. Thank you to all whose generosity allows us to show these students that we care. 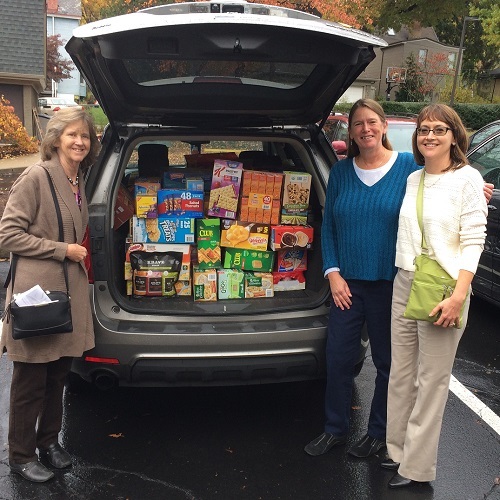 The Deacons are once again collecting food items and cash for our Thanksgiving Baskets project. 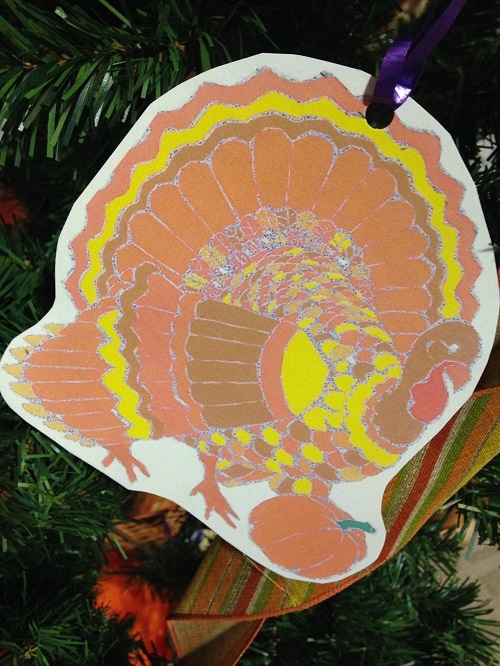 In this season of thanks, we wish to share some of our abundance with those less fortunate in our community. We are collecting items for a traditional Thanksgiving dinner, which will be placed in baskets, and delivered to local families who have been identified as in need. Each basket will contain the items for a traditional Thanksgiving dinner – potatoes, stuffing mix, gravy, corn, yams, cranberry sauce, dessert and a $25 Kuhns or Giant Eagle gift card for a turkey. Thank you for your generosity as we make this season of thanks a season of giving and of sharing. So, please…take a turkey or three from the tree. Online giving has come to CPCBA! Thanks to the efforts of Ross Dillon and the Stewardship committee, anyone who wishes to give can set up a one-time or recurring donation using a service provided by the Presbyterian Mission Exchange. Click the image above or here to set up your donation. located right inside the Rostrevor entrance to the church. If you wish to give money, make checks payable to CPCBA and note that the donation is for the North Boro’s Food Pantry. Checks can be placed in the offering plate or mailed to the church.